Grade 1 hero Outstrip has his first foal on the ground in the shape of a filly born at Fox Farm on Tuesday. The new arrival is out of Mark Johnston's Group 3-placed mare Tiffany Diamond, from the family of Cherry Hinton Stakes heroine Nasseem. Robin Sharp said: "I'm delighted with our grey filly out of the winning and Group-placed mare Tiffany Diamond. She is of very good size, good bone and has a lot of quality." 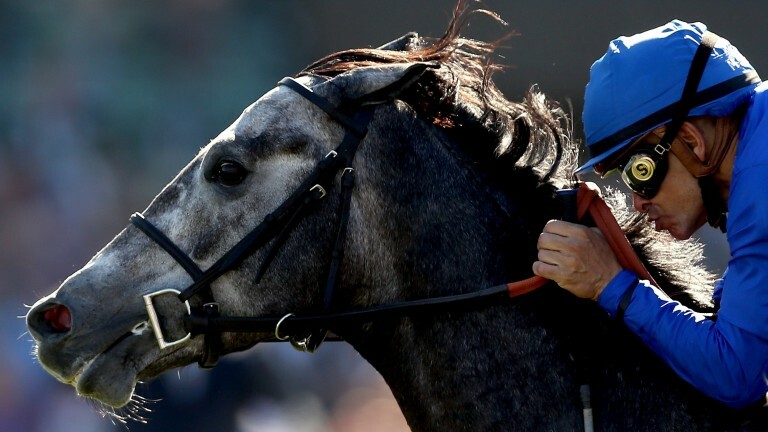 A six-year-old son of Exceed And Excel, Outstrip was trained by Charlie Appleby to win two races including the Group 2 Champagne Stakes and the Grade 1 Breeders' Cup Juvenile Turf as a two-year-old. At three, he finished third in the St James's Palace Stakes to Kingman at Royal Ascot. Retired to stand at Dalham Hall Stud in Newmarket, he is part of the Darley Club and is standing the upcoming breeding season at a fee of £5,000.